Studio City North Hollywood Sherman Oaks Dentist - Cosmetic Dentistry, Emergency Dental Services. Royal Dental Spa practices a full scope of general and cosmetic dentistry. Our practice serves the needs of patients in Studio City, Sherman Oaks, North Hollywood, Los Angeles, Burbank, Valley Village and surrounding areas. From routine check-ups and cleaning to the most extensive cosmetic dentistry, you no longer need more than one Los Angeles dentist for a lifetime of healthy teeth and gums. You can easily have that radiant, self-confident smile so important in this competitive world. We want to help you achieve and maintain Healthy Teeth and Gums for a Lifetime. Our policy is to spend enough time with each patient so that we can share our knowledge and expertise with you in a very conducive and comfortable environment. We understand that each patient has unique needs and concerns. Every effort will be made to cater to those needs. This practice is committed to making your complete dental health care our number one priority. We respect that your time is valuable and that you don't have it to waste on a Los Angeles dentist who keeps you waiting. We are proud to offer superior dentistry and an exceptional practice that runs on time, always putting our patients first. 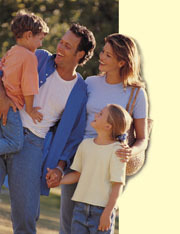 Our mission is to provide a lifetime of oral health and wellness for you, and your family and friends.